Farrell McCrohon is a fully locally owned and operated Stock and Station & Real Estate Business located in Grafton, NSW. David handles the livestock section of the business and is a very experienced and competent auctioneer. JoJo Newby is the Rural Sales Specialist, and takes an honest and hard-working approach to business. 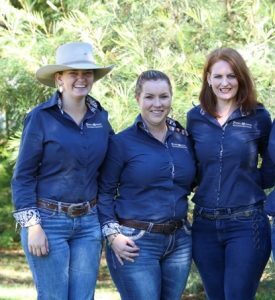 Courtney Hoy and Kara Drayton make up our administration and accounts team and you will see them at both the Saleyards and in the Farrell McCrohon office. Forever striving to impress, JoJo Newby is an agent who knows how to make dreams reality. Upon leaving school in 2009, JoJo travelled to Central Queensland to work on a remote backgrounding cattle station. On returning home to the Clarence Valley, she was offered a job at the local newspaper, and completed a cadetship in Photojournalism. Throughout the purchase of her first in early 2014, the idea of pursuing a career in real estate built momentum, and a short while later, JoJo was approached by a Grafton Real Estate Franchise - and so began her real estate career - with a clear passion for the rural sales side of the business. From then, she has continued to build a strong track record of satisfied clients and record sales, all the while learning first-hand how to pre-empt, combat and approach the many challenges and hurdles presented during the sales process; Skills that can only be learnt and mastered through experience. In 2016, JoJo made the move to Farrell McCrohon Stock & Station Agents with the view of working more closely with her niche market of rural property buyers and sellers. JoJo has received countless positive testimonials and referrals from past and present clients; a testament to the service and efforts made by JoJo to always go above and beyond for those she deals with. With a no-frills, honest and hard-working approach to her business, JoJo has a strong grasp of the local rural market and, being a lady of the land with both photography and journalism expertise, you can be sure your property will be marketed and represented with attention to detail. JoJo has a strong association with and maintains her presence in all issues relevant to rural clients. Ultimately committed to assisting both sellers and buyers achieving optimum results, you can be assured that with JoJo as your representative you too will realise your full rural property potential. Whether you are looking at selling or buying in the Clarence Valley district be sure to give JoJo Newby a call on 0417 690 637. JoJo holds a real estate licence (#20137951) & Stock & Station Agents Certificate (#03185020). With over 18 years of experience in the Real Estate and Stock & Station industry, David Farrell is a well-respected member of the local community and regularly supports and assists in local events. David began his career in the industry in 1998 and has spent this time refining and constantly improving on the art of marketing and negotiation. He is well-practised in auctioneering, conducting weekly and monthly cattle sales at the Grafton Regional Saleyards, along with numerous feature cattle sales, clearing sales and property auctions throughout the year. David holds a wealth of knowledge around the finer details of livestock production, equipment sales and rural properties; skills only learned and maintained through ongoing experience and involvement in the industry, on both a personal and professional basis. David holds an Auctioneer, Real Estate, and Stock & Station Agent's license (#1279552) and is a Director of Farrell McCrohon Stock & Station Agents. Courtney started work in the office at Farrell McCrohon in March 2016. She attends the weekly cattle sales as well as working back at the office in Grafton. She also works part time at her parent’s pub - The Lawrence Tavern. Previously to moving back to the Clarence valley in January 2017 Courtney worked for 5 years in the Hunter Valley as an ICU Equine Vet nurse which also took her as far as England working with some of the world most renowned veterinarians. Linda joined our office in January 2018 and has very quickly found her feet and settled into the team. Linda has over 25 years of experience in corporate management working for firms in Melbourne, Sydney and Adelaide. 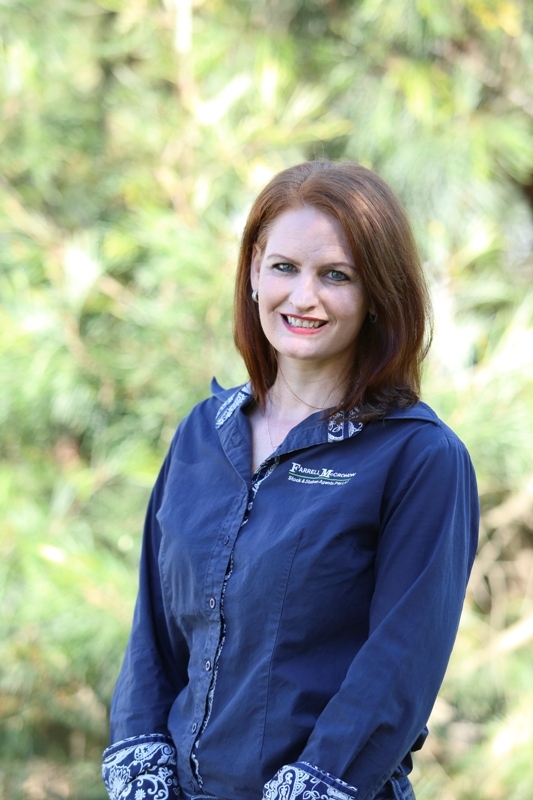 After residing in Broadbeach, QLD, where she spent the past 8 years working as a Paralegal and photographer – all the while being a foster carer to over 20 children – Linda has made a “tree change” and moved to the Grafton area. With exceptional organisation and communication skills, Linda is a real asset to the business and is looking forward to meeting our array of clients.